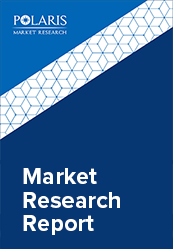 The global liquid biopsy market size was estimated to be worth USD 65.5 million in 2018 and is anticipated to grow at a CAGR of 21.9% from 2019 to 2026. Liquid biopsy market is a conventional method to detect onset of cancer and help with its diagnosis. Liquid biopsy is also called fluid biopsy or fluid phase biopsy. It largely a non-invasive treatment used in tracking tumors and mutations over a specific time-slot. With the help of this procedure, doctors get privy to future of tumors. Though the procedure is revolutionary in appeal, it is outmoded by, yet another treatment named tissue biopsy. Liquid biopsy lets doctors know everything he has to know about the tumor’s future. The advantages of this minimally invasive technique are the detection of molecular biomarkers without running up expensive surgical treatments and surgeries. Usually blood is the source of medium and its routine analysis throws up two parameters; one is CTC and the other is ctDNA. Both are used to screen the presence of disease. Liquid biopsy is a selective market, racing to pick up from where tumor biopsies left off. Liquid biopsy, fast developed out of a requirement born out of more amount of information that is needed to gain an upper hand on cancer with least surgical invasion and this turned into reality with rapid evolution in NGS technology. So liquid biopsy will take prime position in cancer related probes and investigations. Liquid Biopsy provides a panoramic view of the tumor to step- up exclusive market growth in forecast period. Liquid biopsy uses free trials that are promising results and perceived as a minimally invasive surgery, it escalates market growth during forecast period. Liquid Biopsy is a perfect alternative for tissue biopsy due to smaller number of surgical invasions. Key Mergers and Acquisitions taking place because of all development work going on will prop up market in the foreseeable future. Liquid Biopsy Market is segmented on the basis of technology, sample type, biomarker, application and geography. On the basis of technology type, the global market is segmented into single gene analysis and multi-gene parallel analysis (NGS). Both are holding on to equivalent shares and have equal market share. Single gene analysis and multi-gene parallel analysis (NGS) dominate the liquid biopsy cancer market size. NGS denotes diagnosis of multiple diseases at one instance. PCR is an approach to analyzing mutation among genes. Technologies under R&D include PCR- based assays for single gene analysis and NGS- based parallel gene analysis as proven. Based on sample type, market is divided into blood, urine, saliva and other body fluid. Blood is the most common type of base for testing and analysis. Blood contains cell free DNA, circulating cell and exosomes that can be detected easily. This helps in early diagnosis of cancer cell in human body. Saliva and other body fluids come to speed as the second largest market owing to constant research. Results have shown that saliva and plasma measurements are correlated thus proving effectiveness of non-invasive detection is an emerging frontier. The biomarker sample has liquid biopsy market divided into exosomes, CTC and ctDNA. Amongst these, CTC is expected to hold maximum shares owing to high transparency of this technique and effectiveness in tracking cancer cells in the body. Prior detection of these cancer cells helps in prompt diagnosis and decisions taken at initial stages helps battle cancer more effectively. The global biopsy market covers applications such as molecular health monitoring, therapy selection for other meta cancer and therapy selection for MBS. Therapy for treating meta cancer segment is anticipated to hold maximum share given the rising incidences of meta cancer and increasing number of therapies for treating these cancers. Commercial treatments for metastatic cancers also add growth to this market. Post 2020, liquid biopsy will not just be limited to cancer detection and diagnosis but will also spread to finding other diseases using simple investigations such as blood, CSF, Urine and saliva. The market is segmented into North America, Europe, Asia Pacific, Latin America and Middle East and Africa. North America comes tops in global market during forecast period. North America sets the racy pace of market thanks to greater accessibility for various types of cancer and innumerable number of patients that are suffering from cancer. Asia pacific leads form front in the forecast period because of copious investments by key players in the region. The major players operating in the region include Roche Diagnostics, Illumina, Inc., Bio-Rad Labarotories Inc., Myriad Genetics, Inc., Genomic Health, Inc., Quiagen NV, Thermo Fischer Scientific, Inc., Biocept, Inc., Trovagene, Inc., Rain Dance Technologies, Inc., Guardant Health, Inc., and MDX Health SA.